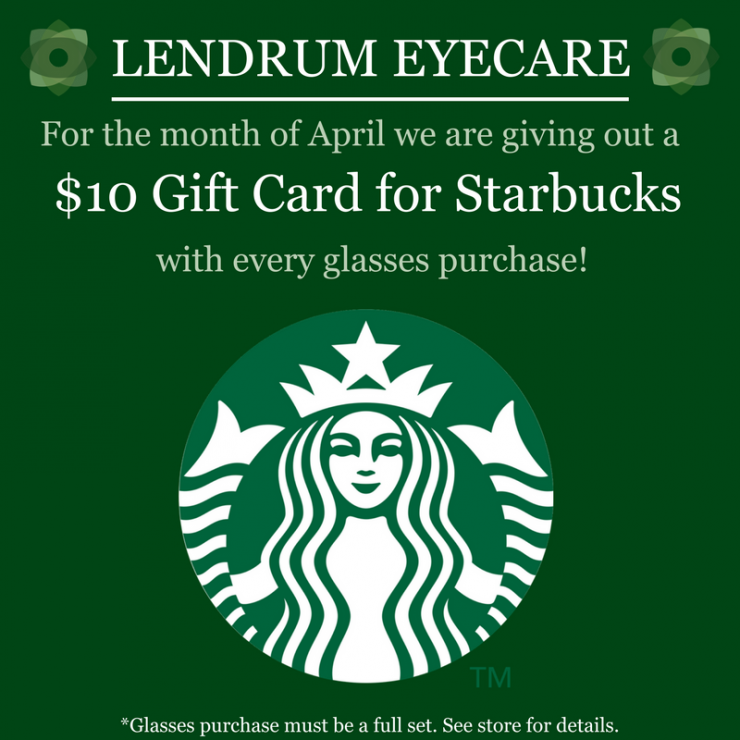 For the month of April we are giving out a $10 gift card to Starbucks with every glasses purchase! For an extra deal for you, if you buy two pairs of glasses then you will receive a $20 gift card and 50% off your second set of lenses! It must be a full set in order to apply for the gift card which is lenses and frame bought from here. Give us a call (780-437-1409) if you have any questions on pricing and/or more information on the deal! See us in Sherwood Park!